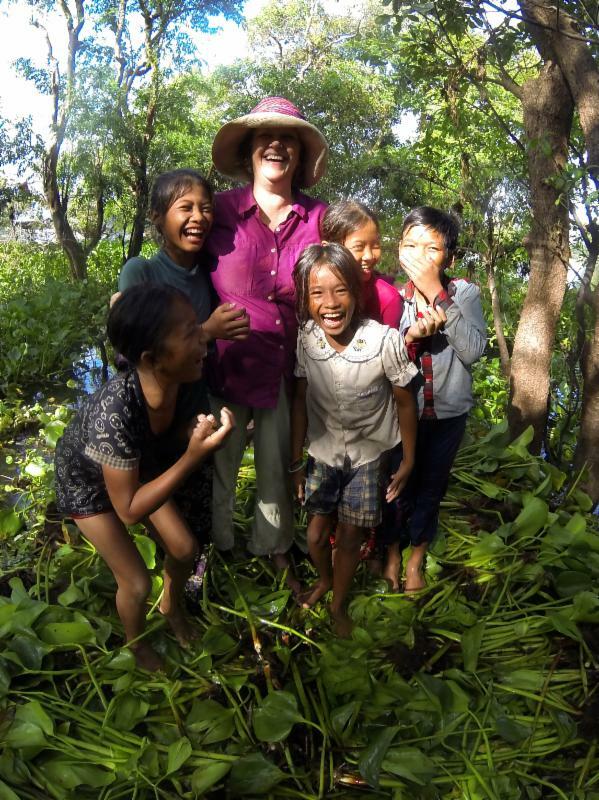 As many of you know one of the projects we continue to admire and support is The Lake Clinic Cambodia (TLC). 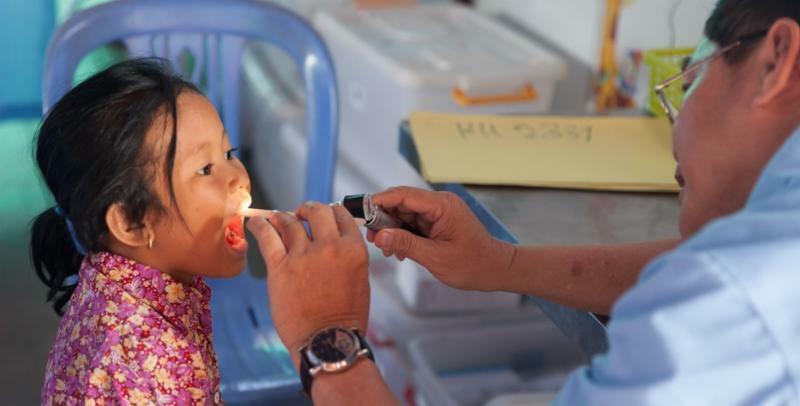 The Lake Clinic brings medical treatment to communities living in very isolated areas of the Tone Sap Lake and the Stung Sen River. Each week a team made up of a doctor, nurse, midwife, registrar and cook load up their equipment and medicine and travel on the TLC boats to the floating clinics which were funded by KIDS, Compassionate Eye Foundation and Impact Norway. 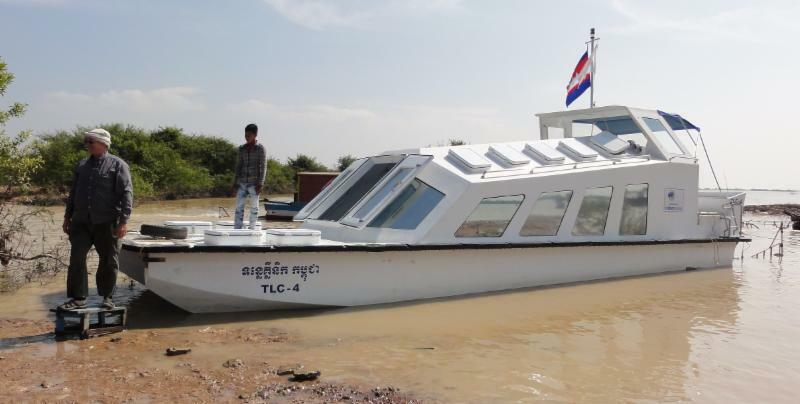 The villagers travel by boat to the clinics to seek free medical attention and medicine. TLC also offers dental care. Without this amazing program the villagers would not be able to access health care as they cannot afford to travel the long distance to clinics on shore. The teams are comprised totally by Cambodian health care professionals. Sometimes foreign volunteer doctors and nurses travel with them. The logistics of operating in these isolated villages can be very challenging. Due to the distances needed to travel to access remote villages fuel is a major expense for TLC and this very valuable healthcare program. As with many environments in the world the lake has issues with pollution. Not wanting TLC to be part of the any environmental damage Jon Morgan, the Director of TLC, has committed to using bio diesel fuel. The bio fuel is produced in an environmentally friendly manner by Naga Biofuels here in Siem Reap with recycled cooking oil from the tourist industry. To assist TLC KIDS is very pleased to be able to fund the biofuel for this entire year so the TLC can carry on an emission free mission. What good is a lake clinic team without transportation, so while the medical team provides the know KIDS provides the go. Assisting adults and children after they are sick is obviously important but TLC also strives to take preventive measures and offers education in pre and postnatal care, drinking water solutions, other heath related topics and proper nutrition. The average diet on the lake consists of fish, some rice (if you can afford it) and salt. Due to the lack of land for farming obtaining any affordable vegetables can be a big challenge. 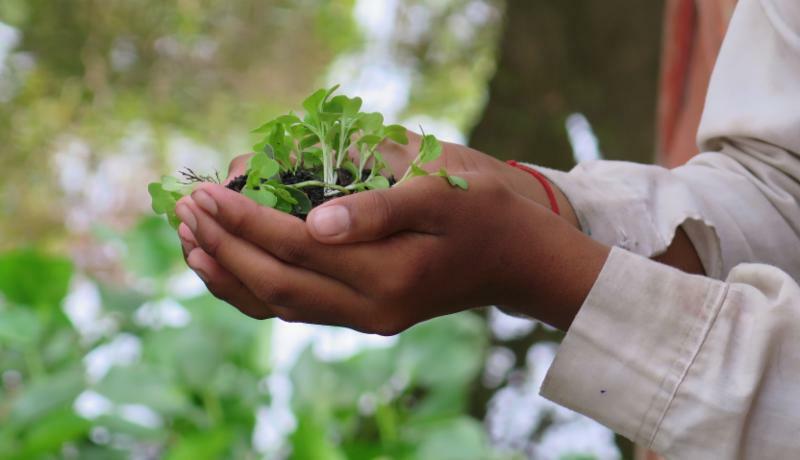 So KIDS has joined TLC, Global Roots and Impact Norway to assist in creating floating gardens at the school KIDS built a few years ago in the floating village of Moat Klah. 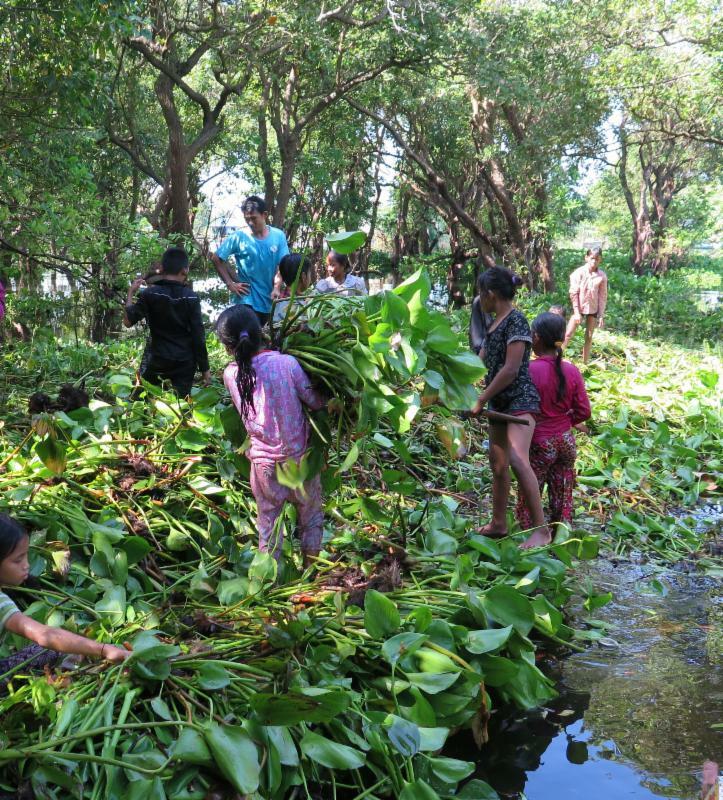 We found a video of a project using invasive water plants to build beds in Bangladesh, they are also being used on Inle Lake in Myamnar. 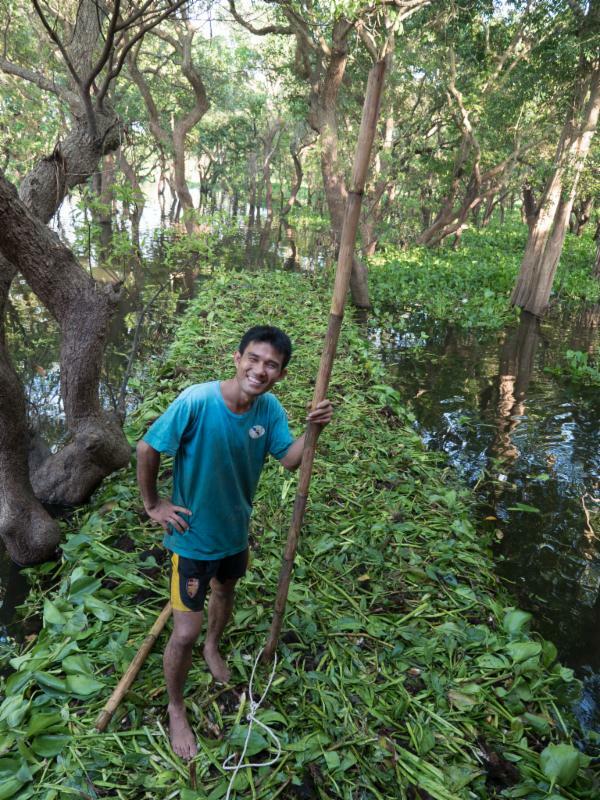 On the lake there is a huge amount of these invasive water hyacinth plants, they choke waterways and cover good fishing habitats. So we headed out to the lake and called a meeting at the school where we showed them the video and discussed the building plan. We picked two team leaders, a boy and a girl and formed two teams of 17 or so students. One named themselves the rabbits and the other the lions. We then got into the fleet of paddle boats, that the children commute to school in and headed out to the closest hyacinth patch behind the school. Here is the short version of the story; together we got the beds built, taught the children how to create a garden with locally sourced free material, eradicated/repurposed a couple of tons of invasive hyacinths and had the most incredibly fun filled, smile till your cheeks ached day that we will remember forever. Please check out the link below to the video of the garden construction project filmed and produced by Patrick Firouzian from Global Roots. After leaving the beds to compost for a couple of weeks the gardens are now planted, we are sure there will be issues...such is the farmers life. But we hope that this low tech and cheap source of food increases the nutrition and future health of the children and in the long run will result in more time in school and less time at the Lake Clinic. As with children everywhere by educating them we are placing their future in their own hands.